Professor Smith brings a wealth of practical experience to teaching because she spent more than 20 years litigating environmental and natural resources issues. She first served as an associate with Holland and Hart as an environmental and natural resources litigator. She then became a senior trial attorney and later Assistant Chief of the Environmental Defense Section, Environment and Natural Resources Division, U.S. Department of Justice, where she received several awards for distinguished service. 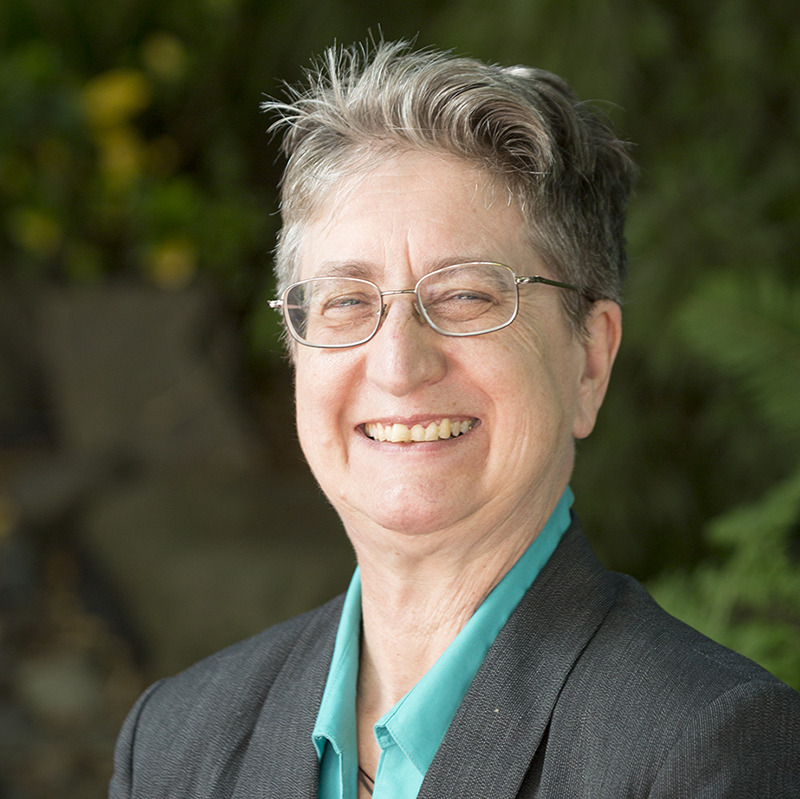 Finally, since joining the Willamette faculty in 1989, Professor Smith has served as pro bono counsel for various environmental and community groups. Currently, she directs the school's Certificate Program in Sustainability. Professor Smith has taught Environmental Law and Policy, Sustainable Natural Resources Law, Energy and Climate Law, CERCLA, RCRA, Toxic Substances Regulation, Water Law, Criminal Law, Environmental Criminal Enforcement, Constitutional Law, State and Local Government, Administrative Law, Payment Systems and various dispute resolution courses. Professor Smith focuses her scholarly research on water quality, water allocation, and water resources management as well as the overall role of law in achieving sustainability, including the role of environmental criminal enforcement. Her book, Crimes against the Environment (co-authored with Susan Mandiberg), was and remains the authoritative treatise in the field (1997 with supplements). Professor Smith is currently a member of the international Water Ethics working group, Sustainable Water Future program and serves on the International Reference Group of the World Council of Churches with respect to its water justice initiative, Ecumenical Water Network. Professor Smith’s deep interest and expertise in domestic implementation of sustainable development through law led to her appointment to the IUCN Commission on Environmental Law (2000), her appointment as a Distinguished Visiting Scholar at the University of Sydney (1997), her appointment as a Fulbright Scholar visiting almost a dozen Australian law schools (1992), and her participation in international environmental law conferences sponsored by the IUCN Academy of Environmental Law, the Netherlands, the United Nations Environmental Programme, the United States Council on Sustainable Development, the United Nations Interregional Crime and Justice Research Institute and the International Centre for Criminal Law Reform and Criminal Justice Policy (1997-date). Closer to home, Professor Smith served as Chair and Commissioner of the Oregon Dispute Resolution Commission (1993-1999) and has been active in numerous other professional and community groups. The Intellectual and Historical Framework of Global Water Ethics in Ziegler and Groenfeldt, Global Water Ethics (Routledge 2017). Developing an Ecumenical Framework for Water Justice in Ziegler and Groenfeldt, Global Water Ethics (Routledge 2017). Trouble in Paradise? Environmental Destruction by US Military Forces Abroad, American Environmental Law, and the Law of Jurisdiction (International Institute for Okinawan Studies 2015). The Clean Air Act, Volume II of Gerrard, Environmental Law Practice Guide (with S. Saulls and E. Lannet) (Matthew Bender 2000). Federal Facilities: Achieving Environmental Excellence in Gerrard, Environmental Law Practice Guide (Matthew Bender 1998). Remediation and Redevelopment of Contaminated Federal Facilities in Gerrard, Brownfields Law and Practice (Matthew-Bender 1998). Crimes against the Environment (with S. Mandiberg) (Michie 1997) (with 1998-2004 Supplements). Changing Corporate Environmental Behavior: Criminal Prosecution as a Tool of Environmental Policy, in Eckersley, Markets, Bureaucracy, and the Environment: New Directions in Governance (MacMillan Press 1995). The Role of Criminal Prosecutions with Respect to Contaminated Sites in the United States, in Contaminated Sites in Australia: Challenges for Law and Public Policy 166-168 (Allen & Unwin 1993). "Creating Accountability or Wreaking Havoc? : An Analysis of the Proposed Constitutional Amendment for Legislative Review of Administrative Rules," Willamette University Center for Public Policy Research, Research Report (October 2000) (available online). "Collaborative Approaches to Pacific Northwest Fisheries Management: The Salmon Experience," 6 Willamette J. Intl Law & Dispute Resolution 29-68 (1998). *"Developments in United States Criminal Law," 21 Criminal Law 341 (1997) [peer reviewed Australian journal]. "Saving Swamps and Salmon: Strategies to Protect Biodiversity from Compensation Threats," ALI/ABA National Wetlands Conference on Property Rights and Wetlands Regulation (1996). "Ecologically Sustainable Development: Integrating Economics," Ecology, and Law, 31 Willamette Law Review 251-305 (1995). *“Doing Time for Environmental Crimes: The United States Approach to Criminal Enforcement of Environmental Laws,” 12 Environment and Planning Law Journal 168-182 (1995) [peer reviewed journal]. *“Developments in United States Criminal Law,” 19 Criminal Law Journal 90-94 (1995). *”An Iron Fist in the Velvet Glove: Redefining the Role of Criminal Prosecution in Creating an Effective Environmental Enforcement System,” 19 Criminal Law Journal 10 (1995). “Local, State & Federal Roles in Preserving Biodiversity: A Wetlands Case Study,” Legislating for Biodiversity 65-73 (EDO & ACEL 1993). “Shields for the King’s Men: Official Immunity and Other Obstacles to Effective Prosecution of Federal Officers for Environmental Crimes,” 16 Columbia Journal of Environmental Law 1-72 (1991). “Can the King Do No Wrong? : Governmental Immunity Issues in Actions Against the United States and Its Officers,” 6 Natural Resources and Environment 16-60 (1991). “State and Federal Regulation of Disposal of Produced Water,” 5 Eastern Mineral Law Institute 12-1 to 12-58 (1984).